It’s hard to imagine our lives without our cell phones now, but in reality cell phones are still fairly new technology. 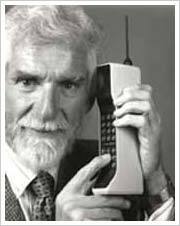 The original mobile phone was the Motorola DynaTAC 8000X which got FCC acceptance in 1983. Believe it or not, it would have set you back $3,995 to be the coolest cat on the block. Even more astonishing is the fact that it took Motorola fifteen years of research and $100 million to come up with the technology. So what did “the brick” offer? How about 30 minutes of talk time, eight hours standby time, and only took 10 hours to recharge. It even let you store up to thirty numbers. 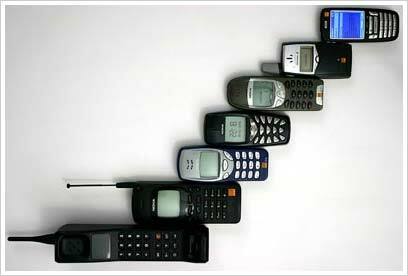 This was the start of the cell phone evolution, or should I say revolution. As more companies started developing cell phones and networks were established, consumers demand went up as prices fell. Now a day, some countries have more mobile phones than people, and in 2005 it was estimate that 2.14 Billion people were cell phone subscribers. The DynaTAC has lead the path to the devices we’ve come to love now, such as the Motorola RAZR V3, Blackberries, IPhone, and Palm Treo. With cell phones offering the ability to SMS, check email, browse the internet, listen to mp3s, it really makes you wonder what’s in store in the future of cell phones.